The truth is what works for one business owner may not work for another. This is true in just about every aspect of a business, including finding an invoicing service. That being said, here are three things business owners should look for when searching for the right invoicing service. This is based on my experience having tried several of them throughout the years. Payment processing fees for credit cards are always a rude awakening for beginning business owners. I had no earthly concept of these when I started making money as a freelance writer seven years ago and I was not happy when I saw them. While you can’t get rid of fees entirely (payment processors are, after all, providing a service), you can shop around for the best deal. First and foremost, look for an invoicing service that has a straightforward fee structure. You don’t need any surprises and some service providers have fees for the most random things. Once you find the ones with the most straightforward structure, compare how much the fees actually are. They can vary widely among invoice service providers. Also keep in mind that while fees are certainly important, they aren’t everything. If a service has low fees but they don’t accept foreign currency or track hours, then it may not be suitable for you. In the age of the internet, you can have a global clientele. On the one hand, this is great because you’re not bound to your location to make money. On the other hand, you need to be able to accept different currencies. If you plan on having global clientele, you’ll need an invoicing service that can accept multiple currencies. Additionally, you’ll want to make sure they don’t charge you an arm and a leg for converting currency. Another thing to think about when it comes to currency is cryptocurrency. If you know your customers like to pay with cryptocurrency, you’ll need an invoicing service that allows you to accept this form of currency. As a business owner, you want to get paid quickly and easily. That’s why an invoicing service needs to be easy to use for both you and your client or customer. Let’s speak from the perspective of a business owner first. There’s no point in using an invoicing service that is overly complicated. You need something that’s easy to set up, automates the invoicing process and makes it easy for people to pay you. The customer is going to want an easy experience too. It’s hard enough to get people to hand over their money, so if your invoice isn’t easy for them to use they just aren’t going to pay. No one is going to go out of their way to figure out how to pay you if they don’t have to. One example would be to make sure your invoices accept credit cards and ACH payments. Some people prefer one over the other so make sure your invoices accept different forms of payment. You’ll also want to make sure your invoice allows room for important information like payment terms and instructions. 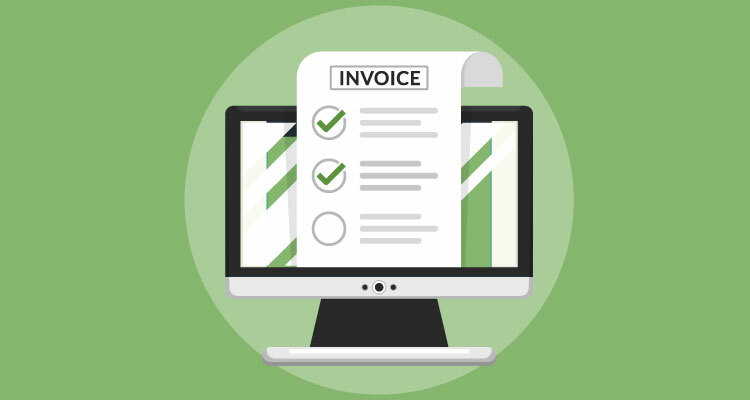 There are several invoicing services on the market, which is why business owners need to find the one that works best for them. By following these three guidelines, they’ll be able to narrow down the search.